Shazam! is a 2019 American Superhero Film based on the DC Comics Character of the Same Name. it is the Seventh Installment in the DC Extended Universe (DCEU). A Troubled Orphan Boy who is chosen as the "Champion of Eternity" and given Powers by an Ancient Wizard, and transforms into an Adult with Superpowers when he speaks the Sorcerer's Name. 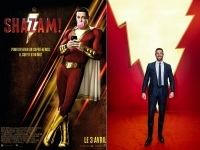 It is the First Live-Action Film Version of the Character since the 1941 Serial Adventures of Captain Marvel (the Character's Original Name). One year after Steppenwolf's invasion, troubled 14-year-old Orphan Billy Batson (Asher Angel) is set to move in with the Vazquez Family and their other five Foster Kids. One day, Billy gets on a Subway car and finds himself transported to a different Realm where an Ancient Wizard gives him the Power to transform into a Godlike Adult Superhero by uttering the Word "Shazam!" 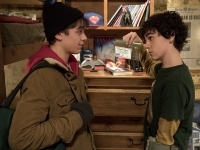 Billy and his new Foster Brother Freddy Freeman (Jack Dylan Grazer) must discover Billy's new Powers and how to use them to prevent the Villain Dr. Thaddeus Sivana (Mark Strong), who has Powers of his own, from committing Nefarious Acts. 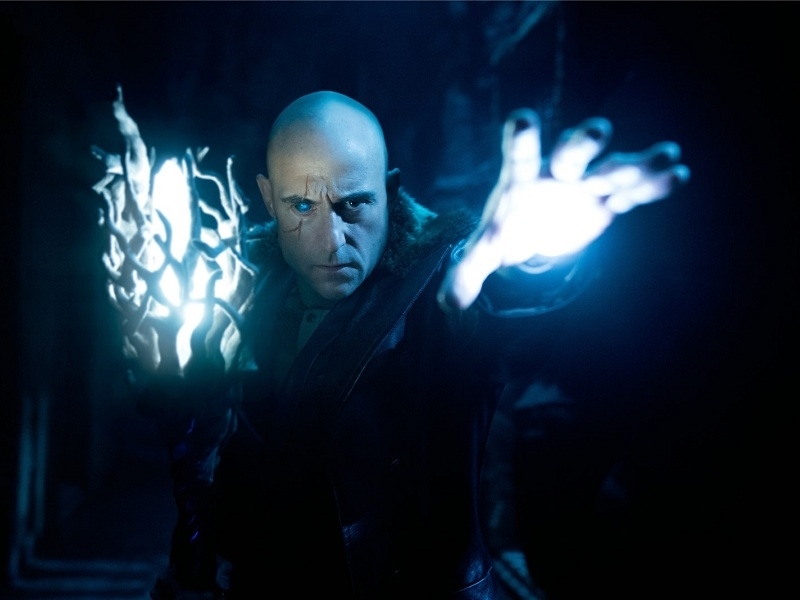 A Dual Origin Story for both Shazam and Sivana, the two play as Perfect Parallels. Shazam is a Child in a Man’s Body, Sivana a Man stunted by his Experiences as a Child. Mark Strong plays Sivana Deadly Serious and Straight, which works perfectly against Zachary Levi’s Shazam, who struggles to take Anything Seriously at all. The Movie is Consistently Funny throughout, even in Moments of Peril, but it’s also not afraid to go to the Dark Side, balancing the two Tones expertly. 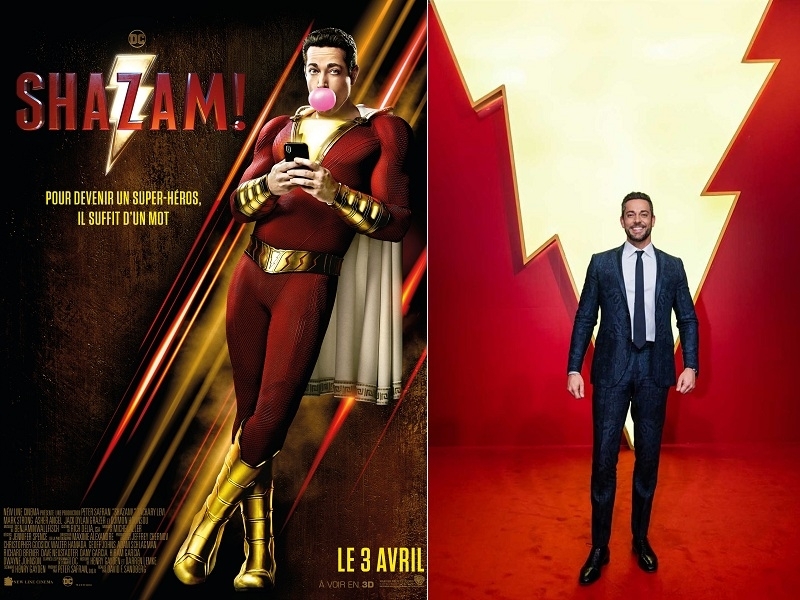 These Characters, most of whom are ripped from the Pages of DC Films Producer Geoff Johns and Gary Frank’s 2011 Shazam! Series, turn out to be an Unexpected Treat, instantly Charming and almost never Cloying. 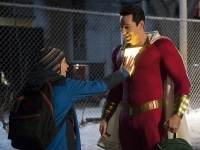 Billy Batson is played by Zachary Levi, a Rare Case in which a Costume that rounds an Actor’s Shoulders and Arms to almost Cartoonish Contour enhances the Character. This is not an Adult acting in the Role of a Child, but a Kid trapped in an Adult’s Body.